Introducing the Piel Frama Galaxy S6 edge+ iMagnum Case. 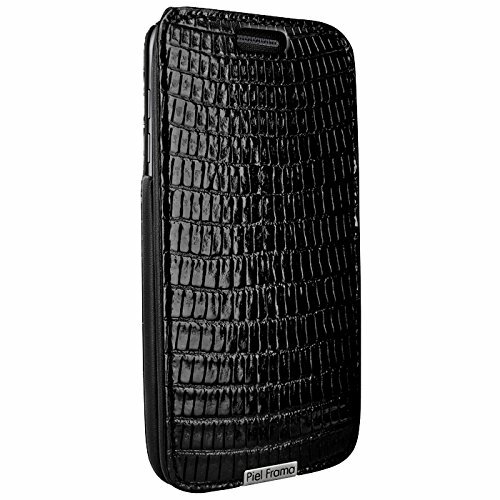 This slim case combines the best of both worlds; slim style and protection. The iMagnum cases are produces with several layers for protection of the device, but the case remains slim to maintain the aesthetic appeal. Just slide your new Galaxy S6 edge+ between the hard leather frame, and you're good to go. All features of the phone are accessible and all cut-outs are perfectly aligned with your phone. A cut-out at the top of the cover allows for you to talk on your phone with the cover shut. There is also hidden magnetic closure - you simply lay down the cover until it shut and it stays securely fastened until you pull the cover to open it back up. The case comes standard with a removable swivel belt clip. When not in use, the back completely flush with the case.